This Halloween party invitation looks awesome! You instantly get that shiver down your spine when looking at it... know what I mean? You are throwing a Halloween party and you wan't to invite your guests in an original way. Instead of sending them a WhatsApp message, you might as well send them a lovely invite! Just download the template for free (click FREE download and fill in '0' or any amount you want to donate and download the zip-file!). And the best thing is: it's so easy to edit yourself! You only need Microsoft Word on your laptop or PC and off you go. Install the fonts that are included in the zip-file and edit the information. Save, print & invite your guests! 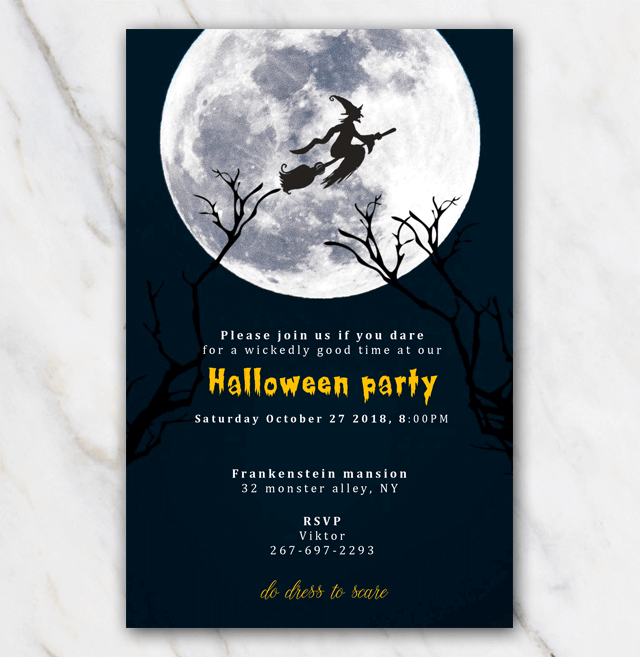 You can also check out my other Halloween party invitation templates.